With over 300 entries from hundreds of global experts, this is one of the premier marketing reference resources available worldwide. Professor of Marketing at the University of Southern California, the Walter H. Stellner Distinguished Professor of Marketing at the University of Illinois, on the faculty of Columbia University, and at the Massachusetts Institute of Technology. 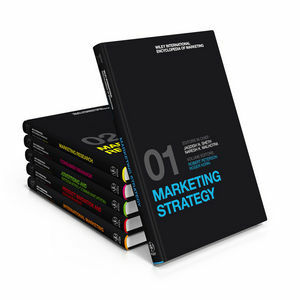 Jag has published more than 200 books and research papers in different areas of marketing. His book The Theory of Buyer Behavior (1969) with John A. Howard is a classic in the field. He has published two scholarly books: Marketing Theory: Evolution and Evaluation (1988) and Consumption Values and Market Choices (1991). His new textbook, Customer Behavior: Consumer Behavior and Beyond (with Banwari Mittal and Bruce Newman) will be published by the Dryden Press in 1998. Jag is an American Psychological Association Fellow and past President of APA's Consumer Psychology Division and Association for Consumer Research (ACR). He was the recipient of the Viktor Mataja Medal from the Austrian Research Society in Vienna (1977) and the 1989 Outstanding Marketing Educator Award from the Academy of Marketing Science. In 1996, he was elected to be the Distinguished Fellow of the Academy of Marketing Science.